Being picked by someone or choosing yourself and leading… which do you choose? It seems like an obvious answer. Any self-respecting individual would say that they would prefer to choose themselves and be solely responsible for their own success and self-worth. It seems like an obvious answer, but the vast majority don’t choose themselves. They prefer to be picked. We see it everyday. It happens when we apply for a job, ask for a raise, beg for a retweet and more. We are hoping that someone chooses us. The thing is this: many think it’s easy to choose oneself. It is. But, it’s hard to see it through and it takes more than most are willing to sacrifice to see it through (all the way to the bitter end). A true story about picking yourself. In the late eighties, I was a music journalist. You have to forget everything you know today and think back to a day and age when there was no Internet and the most advanced technology we had (in terms of connectivity) was a fax machine. Mobile phones and modems were still fairly nascent. As a young – heavily motivated – journalist with little experience, I spent my days phoning and writing pitch letters (and yes, these letters were sent by snail mail) to magazine and newspaper editors – the world over – to pitch a story idea or my skills as a writer. It was a miserable, harsh, cold world out there. People who didn’t even know me were quick to dismiss me. Countless letters went unanswered, rude editors would hang up the phone on me, and that was on a good day. I spent the bulk of my time not writing or crafting my trade but being rejected. Waiting for others to choose me. While I left journalism long ago, the feeling of choosing myself was profound when I first started this blog back in September 2003. As one of four partners at Twist Image, that same feeling of waiting to be chosen was weighing heavy on me. I was doing everything I could to make a name for our digital marketing agency and working the channels at all of the industry trade publications to share my thoughts on what marketing and branding could be. I was often faced with the same type of scrutiny and rejection from the industry press as I received from the music magazine editors over a decade before. Who was I? (a newbie) What kind of credibility did I bring? (not much) Who were our clients and our success stories? (we were just getting started). But Blogger was taking hold and I made the choice. I made the choice to choose myself. To put everything I would put into an op-ed industry trade piece into our own, company blog. To spend the time – each and every day – to think critically about the industry I serve and what it means to brands. To create content that would not be self-serving but of true value to those who would connect with it. To bank on what I felt inside over what others weren’t willing to give me a shot over. It was a simple choice, but I’m still working on it – day in and day out – nearly a decade later. The secret about picking yourself. Seth Godin had two amazing blog posts in the past few days that have generated a lot of attention (Getting picked (need to vs. want to) and But I don’t want to do that, I want to do this). You see, most people will tell you that they did choose themselves but that not much has happened to change their lives. Recently, I was asked to write a guest column for a very respected global business magazine. I put in a significant amount of time on the piece and – if we’re talking here amongst friends – I thought it was one of the better pieces I had written in a long time. I submitted it, and couldn’t wait to see it get published. Instead, I got an email from the editor saying that the piece didn’t work for them, that it was out of my area of expertise and that they will be passing on it. I felt like that teenager back in the eighties again. Rejection. Within seconds of receiving the news, I did two things. First, I immediately published the piece on my own blog. Second, I let the editor know that while I respected their opinion, it didn’t really matter because the general public will best decide if that piece worked (or didn’t). As suspected, this particular blog post got more shares and amplifications than I have had in a long while (it was even retweeted and shared by the publication’s direct competitors). Salvation or the secret to picking yourself is knowing this: just because you pick yourself it doesn’t mean that your work will resonate. That takes an undetermined amount of serious time and commitment (think Malcolm Gladwell and his 10,000 Outliers hours). Reflecting on this last encounter with the editor, it wasn’t about whether or not I had a blog. It was about the long decade that went into cultivating everything that would lead into this one moment: the moment in time where there was an audience of my own to share, engage and connect with. Yes, I chose myself over a decade ago, but none of that mattered if you weren’t along for the ride. None of that choosing matters if the time isn’t put in to build an audience that replaces the need for others to give you access to their audience. 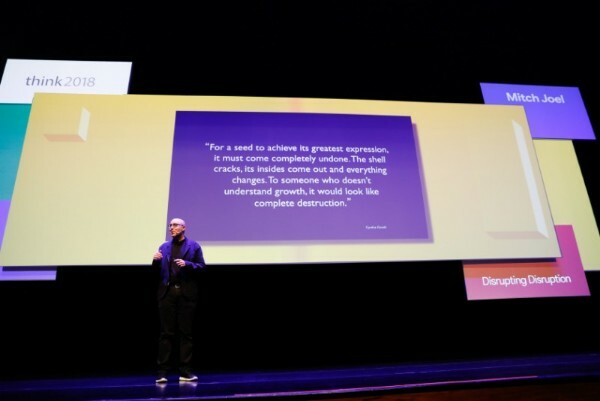 It doesn’t really matter what Seth Godin tells you, or Tim Ferris or Bob Lefsetz or even little, old me. What matters is that you put in the long, hard hours to prove yourself right, instead of making a hasty judgment that what these folks have to say is wrong. Like it or not, they have all built a substantive audience who love how they think. It’s not just that these individuals chose themselves. They did it and they invested everything into proving that they made the right choice. So, what choice will you make? What will you do to make sure you see it through? I just sent off a piece, much like you did, but I told them right off that it was fine to reject me, because I had plenty of people who will publish my guest posts. I really don’t care if they pick it up or not. I loved the piece and if they pass, I’ll send it to Shonali, Gini, Geoff or maybe even us it myself. I also had a bit of an epiphany, today. I am building an audience for my books. I’m a self-published author and a recent launch went well. The Free days have turned into much nicer sales levels than I had expected. But, then it occurred to me that I don’t need to close the reader on just buying my book, I have a second close. I need them to read it! There are a lot of people giving away free books to find an audience. Social media is a great way to get the word out, but that isn’t enough, one needs to follow up and get the person to read. Only then can they be called readers. Is that choosing myself, I have no idea. I wasn’t really clear on where the line was between working hard (like you did as a journalist) and choosing one’s self. Still, I’ve had some positive feedback from people that say they will or are reading my book. This article actually made me feel so excited I got chills! Choosing yourself is hard but I think it has the potential to be an exponentially more rewarding path. 10,000 hours, hard work, rejecting rejection?…but, but what about the shiny penny?…the shiny penny, Mitch…isn’t there a…. The hardest part about picking yourself is you have to do it when no one else will, all alone and every day in obscurity. It’s the single flash of light in the darkness that you have to fan tirelessly for it to grow. I really enjoyed those Godin stories as well. It’s so difficult to fight one of the biggest human yearnings—to belong. And the irony that ensues. Getting picked means it’s easier to get picked on. The inner conflict between “I want to stand out” and “I want to fit in” is fascinating. And that’s all before 7am. Your output has always amazed me man. Yes, we have to be willing to pick us every morning, every day and even at night before we lay our heads down to rest. Mitch I have found through a long journey of personal development, right next to the long walk of an entrepreneur, that it takes lots and lots of belief in ones-self. We did not all get a strong dose of that at birth, growing up or even as adults. That is usually where people stop. At the wall of what they did not get. They build their life, their professions and their passions on that crumbling brick. Then some of us listen to the internal voice ( even when it can be drowned out by our own negative self talk) that is our spark of genius. The more we take actions from that spark of genius, the stronger our guidance grows. Then those 10,000 hours pay off exponentially. I’d love for people to realize there is a little win in each time you listen to your spark of genius and when you take action right then. If you are aware of it, it will feed you when rejection smacks you in the face. If you work hard, apply yourself, and keep focused, I have no doubt you’ll do well, and one day even become a published writer, accomplished speaker, and president of a world renowned digital marketing agency. Love this post Mitch. I have been blogging for a considerable time, a few people read my thoughts and seem to find them useful, but I long ago concluded that not did not matter much how many, it was just important that I was happy with the thoughts, the manner of their expression, and that I added to just one persons day.